As the electronic board was raised on Saturday evening, it’s almost become commonplace for it to read ‘15’ in red LED lights. Again, with Liverpool needing a goal, their most potent attacking threat was pulled from the action. 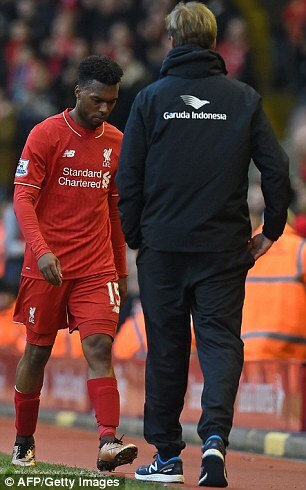 This again was greeted by a sullen and bewildered looking Daniel Sturridge as he exited the Anfield turf. But my question is why? Firstly, it is abundantly clear that while Sturridge is still the preferred option up top, keeping his place despite Divock Origi banging on the door, his time at Liverpool may not be as clear cut as the chance he missed just before half time driving the ball straight at Hugo Lloris. 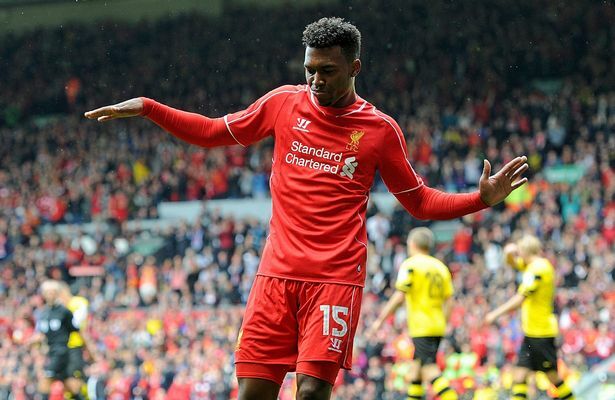 For 18 months the mantra has been ‘once Sturridge gets fit, we’ll be alright’. As a club, the majority have stuck by him through his injury problems with the hope that when he gets fit, he is a genuine world class talent. His stats back this up, averaging a goal every two games this season with a conversion rate of 27%. It could be argued that had he been fit for the entire season, we would’ve waltzed into the top four. However, there appears to be trouble in paradise. On his 8 appearances in the Premier League this season, he has been substituted on 5 of his 6 starts. His mood, his demeanour and his look has changed. Off the field, rumours won’t pass that a potential summer move could be on the cards. So what’s Klopp’s thinking? 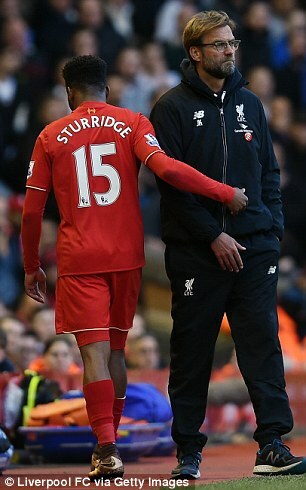 For me, I personally feel the man management of Sturridge has been excellent. This is a player who we have relied upon and he knows it, and he knows it because it’s true. However, Klopp is creating a team that is greater than the sum of its parts. By substituting Sturridge after 60/65 minutes and giving Origi a run he is basically saying ‘you’re not the be all and end all for this club’. The difference between Klopp and Rodgers is the experience of working with genuine world class talents and personalities. While Rodgers blew smoke up Daniel Sturridge and inflated his ego, Klopp is able to get a tune from Sturridge while managing his character. What does the future hold? A footballer’s career can change direction quicker than an Iago Aspas corner. For me, a lot can happen between now and the end of the season. We could be talking about Daniel Sturridge scoring the winner in the Europa League final and sending Liverpool into the UCL in two months. Equally we could be talking about how Sturridge has limped out of training tomorrow and we haven’t set a date for his recovery. Who knows? Will Jürgen look to add to his striking options this summer? 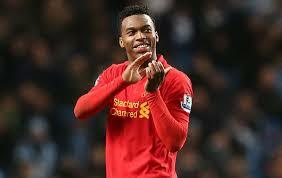 Will Daniel Sturridge seek pastures new? Has he peaked at Liverpool? Can he stay fit for a season? Is there a breakdown in the relationship between star man and manager?